It isn't hard to find dentists in Indianapolis who offer cosmetic services. But to find the best cosmetic dentists you have to look a little closer. At Newman Family Dentistry, we pride ourselves in offering outstanding care to all our patients, and this includes cosmetic dentistry. We invite you to look at our qualifications and compare that to other cosmetic dentists in the Indianapolis area. Here are some factors we think are important to look for as you shop around. Do they offer a variety of treatment options In cosmetic dentistry, there are generally several ways to achieve the results you are looking for. If you want to straighten your teeth you might use Invisalign, Realine, Snap-On Smile, veneers, or bonding. If you want your teeth whitened, you may wish to explore both in-office and take-home options - or you might want to use an option that both straightens and whitens your teeth. Each treatment has its pros and cons, and a good cosmetic dentist will be skilled at different option and be willing to listen to your priorities to recommend the best treatments to meet your needs. What do other patients have to say? It's great if a cosmetic dentist has impressive credentials, but the bottom line is what kind of experience have others had in the office. Were they treated well in the office? Are they happy with how their smiles look? Would they recommend that dentist to their family? You can Google cosmetic dentists in Indianapolis to find some patient reviews. But some dentists feature many more reviews on their websites as well. What payment options do they offer? Because many cosmetic dentistry services are considered elective treatments by insurance complanies, they often aren't covered. So it's important to know what kind of options the dentist will give you as far as payments. Do they offer discounts for patients without insurance? Do they have any special offers for cosmetic treatments? Are they able to be flexible with payment plans? Contact their office to find out what kind of arrangements they'll make with you. 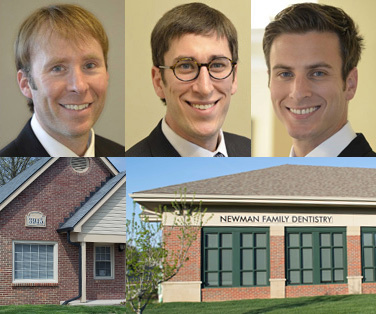 At Newman Family Dentistry, we'd be honored to be your cosmetic dentists. We offer the latest and best treatments, we are happy to discuss your goals and concerns about treatment, and our patient reviews speak for themselves. Contact us today for a free consultation and to discuss payment options. We look forward for the opportunity to become your Indianapolis cosmetic dentist.